Choosing a Christmas stocking is a pretty important decision. It’s tradition to use the same one every year, which means a person could be stuck with the same stocking for the rest of their lives! What’s more, they’re going to hang in your lounge room every Christmas for the foreseeable future, so they’d better be good looking. 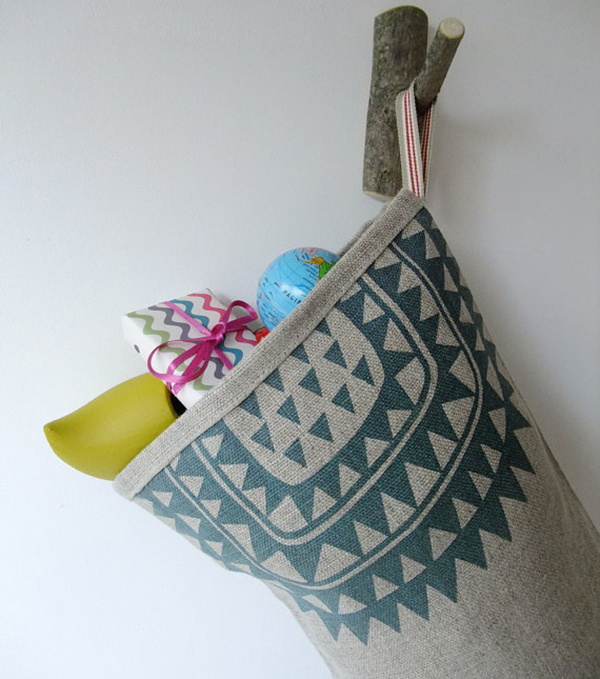 We’ve hunted down the best Christmas stockings, from contemporary to handmade heirloom styles, and pieces that aren’t even stockings at all. 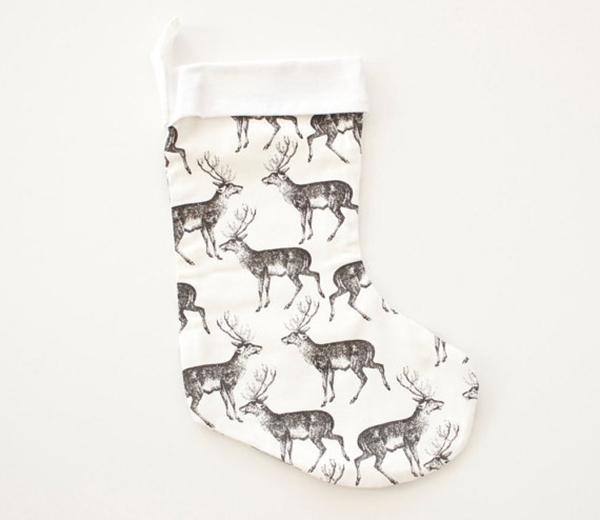 These Icelandic-style Christmas stockings ($40) are minimalist perfection. The patterns are hand-screenprinted on natural linen in a London studio and hung with a pretty ribbon from the top edge. Although the design is minimalist, the size isn’t – these stockings are nice and large to fill with lots of loot. 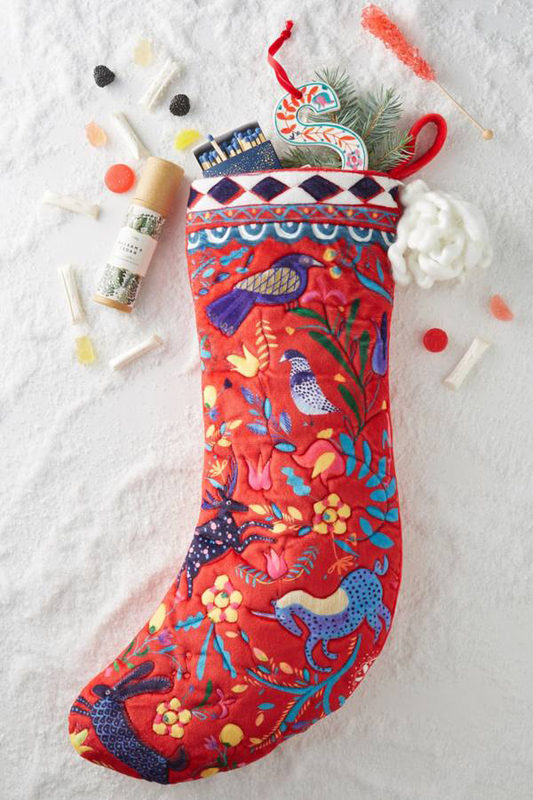 Anthropologie is unmatched when it comes to clothes and accessories with bold prints and embellishments, so we’re not surprised to see such an excellent assortment of Christmas stockings in their online shop. We’re partial to the Velvet Celtic Stocking ($32). Rich red velvet is embroidered with prancing unicorns, leaping hares and winding vines and flowers. It doesn’t scream Christmas, and yet it’s incredibly festive. 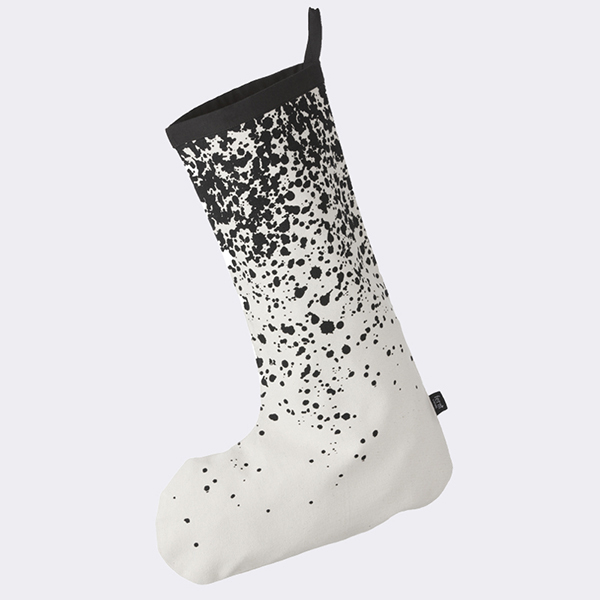 If you prefer black and white to colour, the ombré speckled Christmas stocking ($39) from Ferm Living is just the thing. It has a simple black band around the opening, and a black ribbon for hanging. 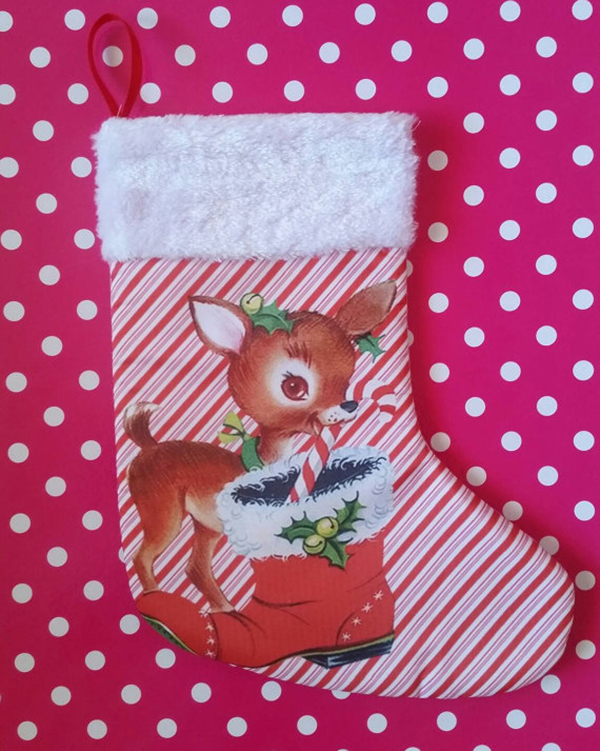 Made in Australia, this kitschy vintage-style Bambi stocking ($15) is colourful and would look right at home in a lounge room full of knick knacks, or more likely, full of toys. Printed on sturdy cotton duck fabric, we love this vintage stag print. 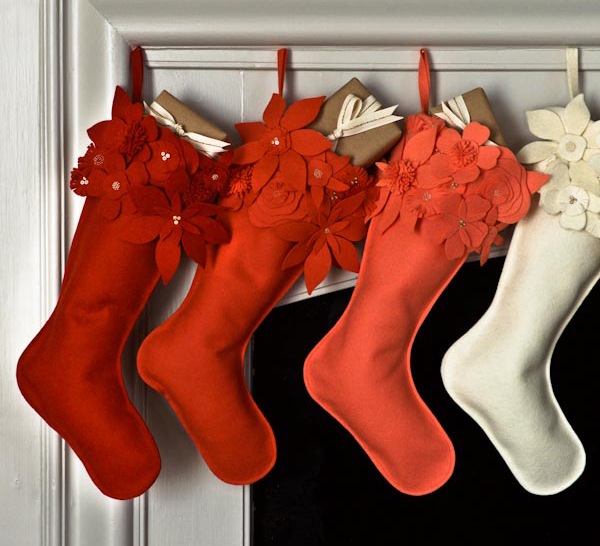 The Christmas stockings ($32) come in white, red, pink or black, and look super stylish all hanging in a row. Sometimes you don’t want a stocking at all. 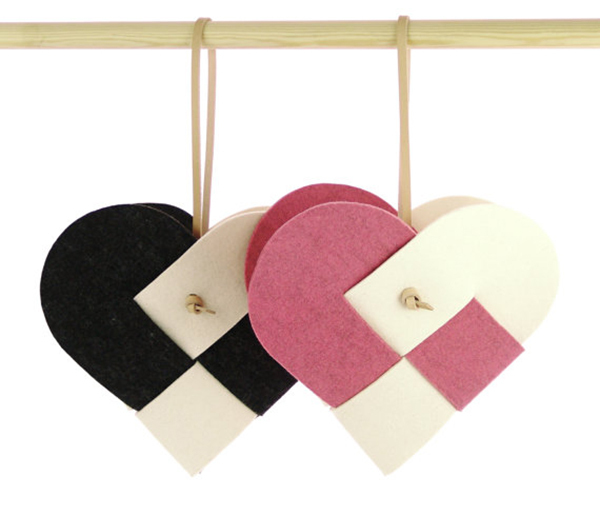 These Scandinavian felt heart-shaped Christmas pouches ($64) are a lovely alternative to the traditional Christmas stocking, and we think they’d be divine overflowing with Christmas chocolates. 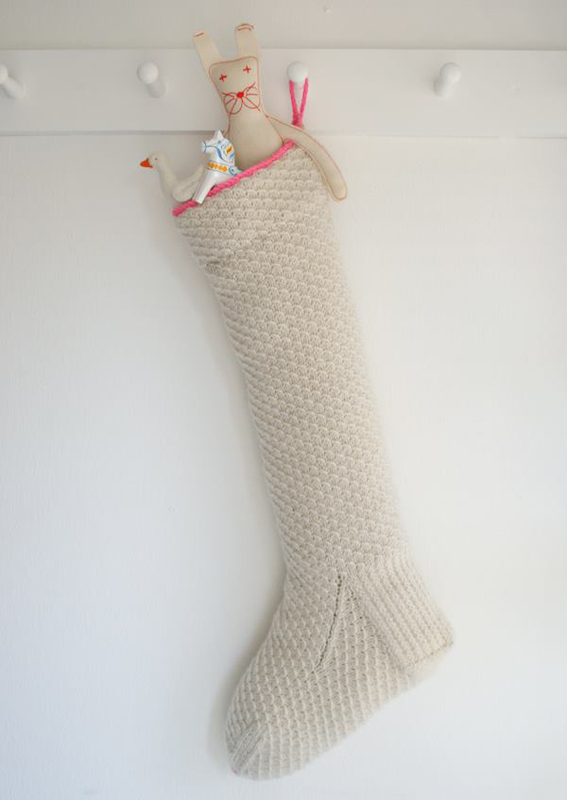 We can’t talk about Christmas stockings without giving options for the makers among you. Purl Soho carries gorgeous quality needlecraft and sewing goods, as well as incredible free patterns. The stitch pattern on this knitted Christmas stocking looks like layered frost crystallised on a window, and the little pink stitch at the tip of the toe and pink band are such lovely, contemporary touches. If you don’t know how to knit, here’s some inspiration to learn. If sewing is your thing, Purl Soho’s winter flower stockings are just as beautiful as the knitted ones. Although the result is pretty impressive, these stockings are super easy to make. If your stitches on the flowers aren’t even, that’s OK – it only increases the handmade charm. Do you have Christmas on the brain? Head to our Christmas hub to find crafts, recipes and ideas for this festive season.